How Sentiment Analysis May Hold The Key To A Better Utilisation Of Social Media For Businesses Engagement. Posted on 10th May 2011 at 08:14. Everybody thinks social media’s great. Well, not everybody if the truth be told, but a large proportion of us at least. It’s gives businesses the chance to interact with their audiences and measure the customer’s reaction to any given brand. Unfortunately it’s the mechanics of measurement that have proved to be troublesome for marketers. Sure it’s great if your business manages to generate lots of likes on Facebook or follows on Twitter, but at the end of the day, what do these actually signify? What do social media endorsements actually tell you about the appeal of any particular business or brand? Just because your business is liked or followed doesn’t mean your audience is engaged. 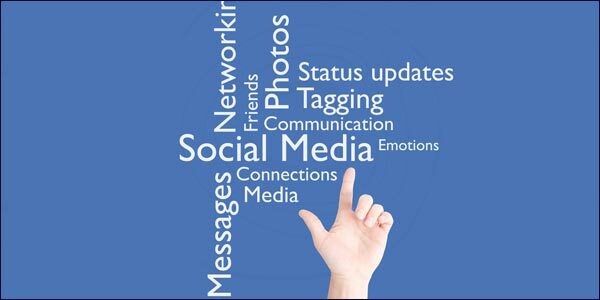 Those questions have prompted social media marketers to turn their attentions to sentiment analysis. So what it is, and more importantly how useful will it prove to be? Sentiment analysis is, as it says on the tin, the examination and analysis of opinions expressed by consumers about particular products or brands. In a way it’s meant to put a little flesh on the bones of social media endorsements and approvals. Put simply, it’s a mechanism for determining the engagement of consumers for any given brand, by analysing all the comments made on social media networks or blogs. It sounds simple when you say it like that, doesn’t it? You almost believe all you have to do is enter a bit of social media text and feedback, and hey presto, the analysis determines the relevance of the text to your brand and gives you either a thumbs up or thumbs down. Would that it were that simple. It really would be fantastic if there was a piece of software that gave marketers direct access to the brains and emotions that lay behind the original comments. Sadly, nothing in life is that simple. Text can be deceptive and words can have a variety of meanings dependant upon the context in which they were written. This is where it starts to get a little trickier. For sentiment analysis to work effectively, it has to examine not just the words used, but also the fan or follower’s attitude towards the brand by taking into account all the variable factors that may have played a part like context, tone and emotion. Now imagine your brand has many followers and is ‘liked’ by countless numbers: how are you expected to analyse that amount of feedback? Some companies opt for automated sentiment analytics: this relies exclusively on ‘natural language processing’ to provide the answers. That’s all well and good, but it obviously has its critics. Language is never completely ‘natural’ – in fact it’s anything but: language is about as complicated as it gets. Do computers understand irony or sarcasm? Can they differentiate between hyperbole and litotes? I very much doubt it. Human beings are the only ones who can give a balanced and accurate interpretation of the meaning of language, and unfortunately that comes at a cost. No one is dismissing the validity and importance of engagement metrics. They do undoubtedly add value to any company’s marketing mix and strategies. Research recently carried out by eBay proved conclusively that sentiment analysis is far more valuable and informative to businesses than any number of surveys or focus groups, where participants may wish to complete the process quickly to get it out of the way, or express less-than-honest opinions due to the influence of others. What is less clear however, is how this information can be gathered cheaply and efficiently, whilst still giving a truly accurate reflection of the genuine opinions of consumers. Understanding Copywriting Part 2.10 Internet Marketing Tips That Are Best Ignored Part 1.